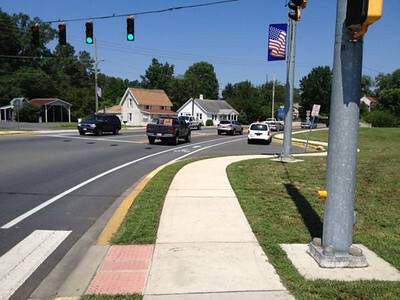 A quarter mile stretch of sidewalk was added to the residential area of Dagsboro in Sussex County, Delaware. The project was completed in 2012 and runs from Clayton Street to Vines Creek Road along SR 20. The project included crosswalks, pedestrian lighting, ADA curb ramp upgrades, upgraded signage, and minor landscaping in addition to sidewalks. $406,400 in TE funding with a match of $101,600 was used to complete the category 1 project.